Leading Manufacturer of ss adapter from Rajkot. 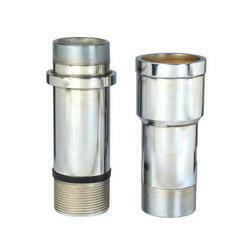 We are an illustrious organization that is engaged in manufacturing, supplying and trading SS Adapter. The range offered by us is fabricated at our state-of-the-art manufacturing facility using high quality stainless steel. Latest machines and equipment are employed in the manufacturing process following standards and norms of the industry. Looking for SS Adapter ?